There's a new player on the pitch. Under Armour presents the first ever Magnetico football boot, taking over from the ClutchFit. 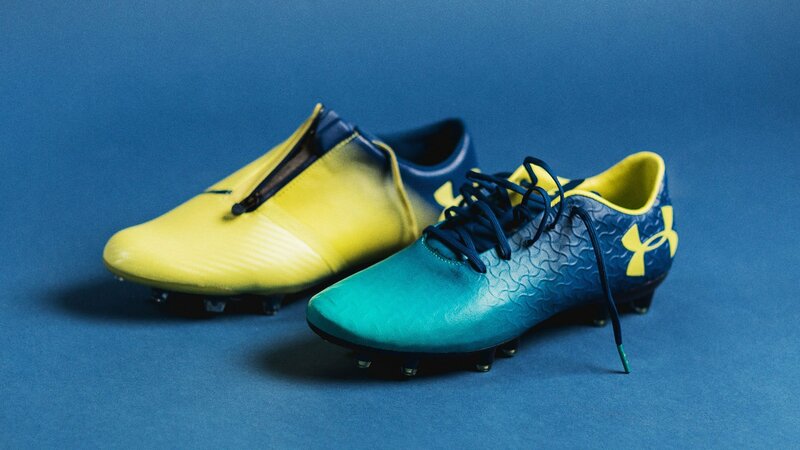 Check out the new boot and a new colourway of the Spotlight 2.0 as well. You already know the popular and flashy UA Spotlight 2.0 worn players like Memphis Depay, but today Under Armour gives us a new treat. Meet the brand new and first ever Magnetico. Luckilly, there will be more to come, and when looking at this debut colourway, we really can't wait for UA's next drop. But first, let's dig into the brand new Under Armour boots. Making you able to dominate games, the Under Armour Magnetico gives you an exceptional first touch control. Taking over from the ClutchFit, the innovative Magnetico football boot fits true to your form. Zero break-in needed. The Under Armour FormTrue technology makes the Magnetico form to your foot instantly for a custom fit. Also due to the FormTrue technology, the Under Armour Magnetico gives you that barefoot touch. Perfect for the best touch on the ball, ready to play that decisive through ball. Last but not least, the Magnetico's cone stud configuration delivers maximum traction, making you able to maximize your speed and agility. 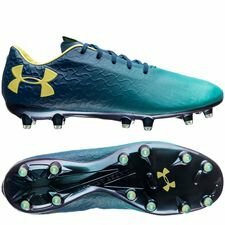 An all in all awesome football boot from Under Armour in a stunning colourway as well. Looking forward to more of these! 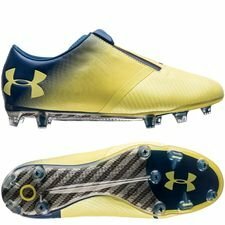 As you already might know, the Under Armour Spotlight 2.0 football boot features a two-layer construction that is similar to adidas' X cleats in a way. It also contains a lace cover with a zipper - something never seen before in a football boot, as well as an awesome carbon fiber sole. The UA Spotlight 2.0 provides you with more lockdown as ever - making you faster in every direction. Get your pair of the Under Armour Magnetico or Spotlight 2.0 right here.